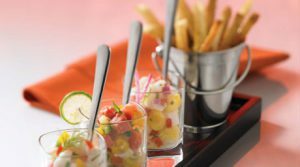 Celebrity Cruises’ high standards and focus on food has lead to some of the most delectable and delicious dining options available on the high seas. 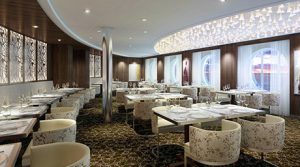 With all complimentary and specialty restaurants featuring menus crafted by Michelin-starred chef, Cornelius Gallagher, the Eclipse dining options will blow you away! 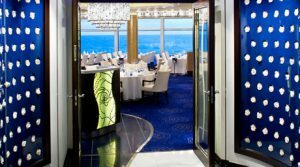 Moonlight Sonata (Decks 3 and 4): Moonlight Sonata is the ship’s Main Dining Room and is open for breakfast, lunch and dinner. 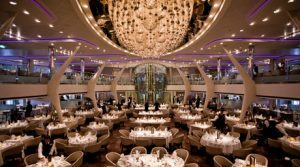 This beautiful dining room, located at the aft end of the ship, isn’t your typical ship dining room…the experience is over the top. Spanning up two stories, this dining room is spacious yet very elegant, featuring a stunning two-story glass wine tower. Not only will the ambiance impress you, but Celebrity offers service like no other. Prompt, friendly and attentive staff will guide you through each dining experience starting with appetizers, soup and salads, main courses and of course ending with dessert. The menu and options change from day to day featuring a mix of French, Italian and Contemporary dishes. The quality of cuisine is so high and the choice so extensive, you will feel like you are in a new restaurant each night. Although we know your focus is getting from performance to performance, be sure you stop in at least once to enjoy an incredible dining experience. 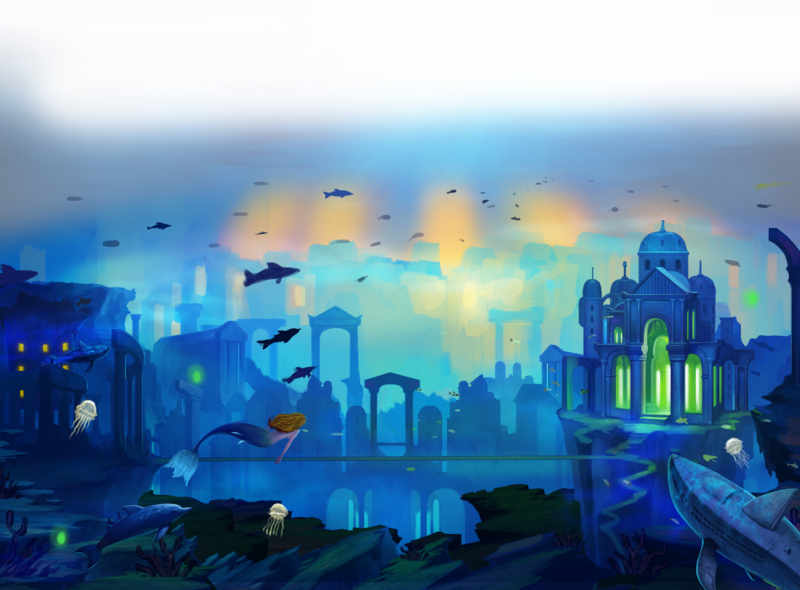 Oceanview Cafe (Deck 14): If you head straight up to deck 14 from the Moonlight Sonata, you will find the Oceanview Cafe. This is a more casual option than the main dining room and is open for breakfast, lunch and dinner and features a large multi-station buffet. In addition, in off times you can always grab ice cream, pizza, pasta and sushi as well as late night snacks. Mast Grill (Deck 14): Just forward of the main swimming pool, you will find Mast Grill. Here you can grab a burger, hot dog and fries while you are on the go or lounge poolside with a refreshing cocktail. AquaSpa Cafe (Deck 12): If you are looking for something on the lighter side, then be sure to visit the AquaSpa Cafe, open for both breakfast and lunch. Here you can choose from a menu of delicious, yet healthier alternatives than the usual burger and fries. Room Service: Had a little too much fun last night? Sleep in and have breakfast (or lunch) delivered right to your room. Room service is available 24 hours a day and includes a limited menu of pizza, salads, sandwiches and desserts. This service is complementary, however, be aware of the service charges for certain items as well as late night orders. Luminae (Deck 3): This is an exclusive, complimentary restaurant ONLY for our Suite Class Guests. It is open for breakfast, lunch and dinner and features a new menu each day. At Luminae, the chefs prepare fresh and incredible food that will dazzle your tastebuds and leave you wanting more. Blu (Deck 5): Once again, this is an exclusive, complimentary restaurant ONLY for our AquaClass guests. AquaClass guests can dine in Blu for both breakfast and dinner. This menu is more of a spa-type menu and is classified by Celebrity as “Clean Cuisine.” Swapping rich and heavy fare for something a bit lighter, yet keeping you satisfied, is the chef’s #1 goal at Blu. 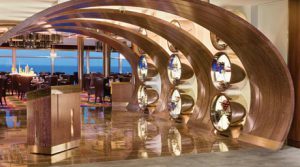 Celebrity Eclipse’s specialty dining options are fantastic. 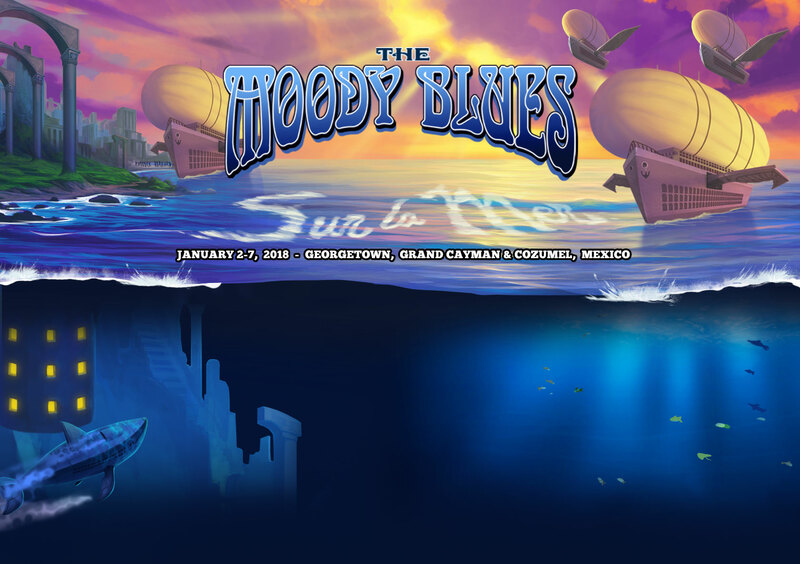 Although completely optional, they are a great addition to your once in a lifetime vacation. Keep in mind, a surcharge applies to these restaurants and reservations generally fill up very quickly so be sure to make your reservations as soon as possible. 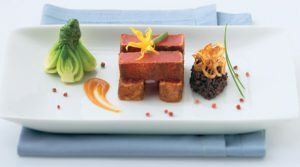 Qsine (Deck 5): Take your tastebuds on a world tour with this eclectic style menu that will not disappoint. Not only is the food incredible, but the decor is something you have never seen before. If you are looking for something outside the box, this restaurant is your perfect fit. 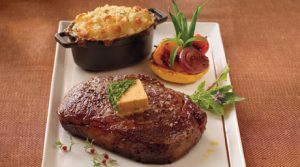 Tuscan Grille (Deck 5): Described by Celebrity as “Napa meets Old World Italy” this dining experience will appeal to most everyone. The menu features incredible pastas and meat entrees as well as a few dishes prepared table side, which adds fun interaction to the dining experience. And the ambiance? One word…Stunning! 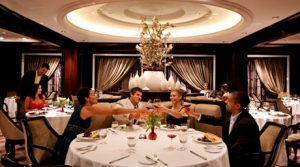 Sitting at the very aft of the ship the restaurant features floor to ceiling windows making the setting extraordinary. Murano (Deck 5): Want to add the extra “wow factor” to your trip? 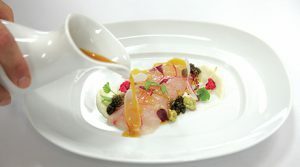 Then visit Murano for a taste of contemporary French cuisine. Cheeses, wine, escargot, caviar, c hâteaubriand, veal…you will find any and all things indulgent here. If you are truly looking to have your pallet amazed then be sure to inquire about the “Five Senses” option. This showcases a six course tasting meal paired with incredible wines that will knock your socks off. Murano also offers a Champagne High Tea that may be available during the at sea afternoons. Sushi on Five (Deck 5): If sushi is something you crave, look no further than Sushi on Five where you will find the most fresh, flavorful and delicious fish on board. Guests can order items a-la-carté and choose from a wide variety of sushi, sashimi, signature rolls and hand rolls. These dishes are as beautiful as they are tasty and allow for an experience that will dazzle the senses. 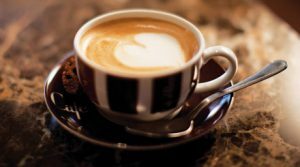 Cafe al Bacio & Gelateria (Deck 5): Located across from Sushi on Five, this is your neighborhood coffee bar. With specialty coffees, pastries and other light snacks it is the perfect place to chat or enjoy the morning paper. However, be warned…the smell of freshly baked waffle cones will draw you in as you pass by so be sure to make time to stop for a gelato. You won’t regret it.